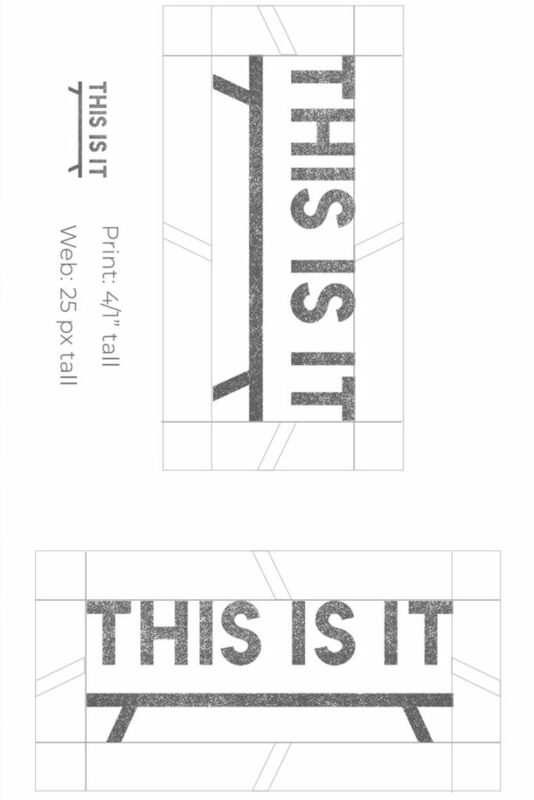 We started conceptualizing the THISISIT brand in 2017. THIS IS IT is a coffee shop concept which is positioned to offer people living in modern, upwardly mobile and thriving cities and districts simple, delicious, no-fuss, real and authentic food in a warm, welcoming, homey and modern environment. This can be your crispy morning croissant, or a cup of your favorite cappuccino, the everyday salad or hearty sandwich that gives you the feeling of home. I worked together with Pink Entropy on the early ideation of the brand, the logo design, the material and design elements, the brand universe and interior mockups. This was followed by designing the website and a temporary landing page that would capture data until the works were done. The final logo grew from the idea of a communal bench or table. A symbol that could live on it’s own or together with other textual content. Below you can see a few mockups of the brand universe.